Well it’s been a hectic week here at Cake Case HQ. 1 wedding cake decorated, 2 blog posts written and some fun new blog themed series decided upon. The first of which starts today, My “Friday Fun” where I sum up our week and what’s to come over this weekend and things I have seen and learnt this week. Think of it as a getting to know the Cake Case a little better. I think it is really important to know who you are buying from, especially when you are working with someone to create something unique and personal to you. 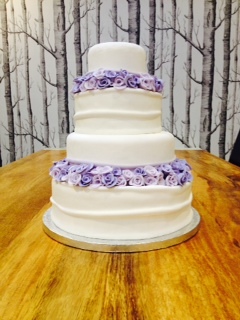 This week my wedding cake project has been this simple yet effective white and purple 4 tiered cake, with as many roses as I could fit on it. Tiers 1 and 3 are wrapped in crisp white sugar paste to add a soft flowing affect. On top of my new brain wave and decorating a pretty purple rose wedding cake, I seem to have spent an in ordinate amount of time at the dentists again this week, don’t worry, it isn’t because I’ve eaten too many cakes! I’ve finally had teeth removed so I can have the back sections of my brace fitted, bring on a sparkling smile in 12-18 months time! Hopefully just in time for our wedding. Bell jars for centre pieces – whether it is filled with flowers, objects or table numbers, they are a simple and effective way to have table centres without them taking over the table. 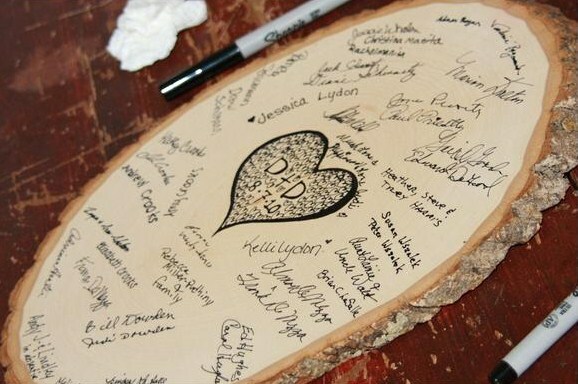 Wooden “guestbooks” – I love the idea of a cut through of a tree truck or a large wooden letter signed by all your guests as a memento of the day. this image was found via google. Colour coded sweet tables – Forget favours, which let’s face it, generally get forgotten, have a sweetie table instead…. who could resist it!? Any why not colour code it to your theme as well. 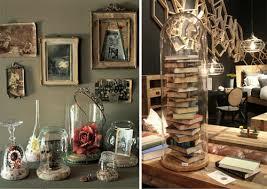 (where better excuse to scour sweet shops and of course test the sweets in advance). Helpful suppliers – I have loved the helpful suppliers I have encountered so far, not pushy (I HATE pushy) but just genuinely helpful and love their craft/believe in the product they are selling. So what is to come this week? The start of my celebration cake blog series highlighting different cake ideas for birthday and celebratin cakes. I have a couple of celebration cakes to make this week, 1 being made as a surprise (more details next week) and 1 arsenal themed birthday cake to make. Can’t wait to work with these clients! Also remember we will have wedding cake consultation appointments available and some wedding cake slots for this summer, why not get in contact with the Cake Case to get a quick quote?! Friday Fun….. to pick you up on a Monday!